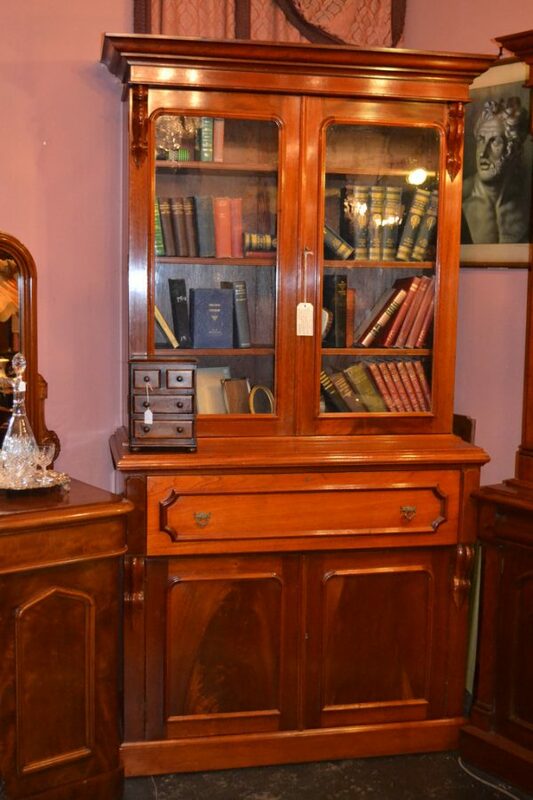 Antique Australian cedar secretaire bookcase circa 1870 in excellent restored condition. Featuring a fully fitted and tooled leather inlay interior to base. Two door top with original old glass and adjustable shelving.